OL SKOOL BLACK FLIX: Which Blaxploitation Actor Would You Like to See Make a Comeback? Which Blaxploitation Actor Would You Like to See Make a Comeback? New poll and maybe a chance for someone to get their last bit of shine before a new generation. When there's a demand, who knows what opportunities are around the corner. 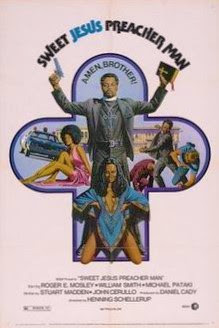 While Pam Grier, Antonio Fargas, and Glynn Turman still make appearances on TV in characters that are different from their 1970s film personas, many have transitioned into the pearly gates and people like myself are just now discovering their contributions. While the 1990s film Original Gangstas (with the late Ron O'Neal) was a tribute of sorts to the original ghetto superstars, we need to continue the greatness that is multifaceted and not stereotypical (and there's something kind of sad about old people doing battle...even if they do win in the end. Yes?). Don't let the less-popular blaxploitation DVDs die in the .99 bin at the supermarket. Even if the quality isn't the greatest, get it and enjoy. I still have a compilation to sort through myself so if you're asking 'Where the hell are the movie reviews? I don't want to see another music or RIP post!' Believe me, I hear you.